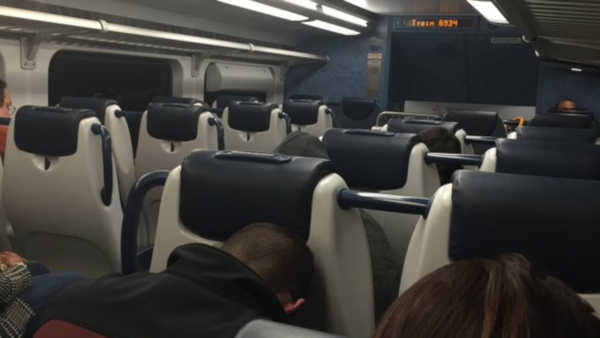 Approximately 450 passengers were stranded after a New Jersey Transit train became disabled on Saturday night. New Jersey Transit train #6934 on the Morris and Essex Line became disabled in East River south tube. A rescue train was sent to move the disabled train to New York. The train arrived back to Penn Station at 9:02 p.m. on Track 7. There were no injuries. Passengers say they were stuck on the train for nearly 90 minutes.